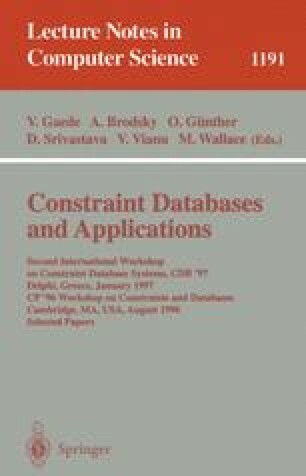 In this paper we discuss a connection between two seemingly distant research areas in computer science: constraint databases and abstract interpretation. We show that while the goals of research in the respective communities are different, the used techniques are often based on similar common foundations. We substantiate this claim by showing that abstract interpretation of a standard (Algol-like) programming language with respect to its natural semantics can be equivalently thought of as querying a constraint deductive database. On the other hand the constraint database community can often benefit from the sophisticated techniques developed for computing abstract properties of programs, e.g., for query termination analysis or approximate query evaluation.